Carbon Fiber: This Century’s Steel? At the Autodesk BUILD (Building, Innovation, Learning and Design) Space in Boston, researchers are experimenting with all kinds of potential future building materials, and carbon fiber is among the most promising. 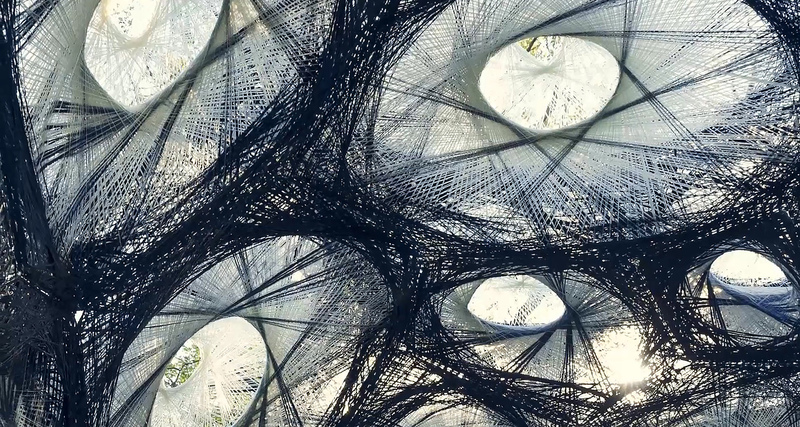 Inspired by the way spiders and silkworms weave, this ultra-strong material is lighter than steel, twice as stiff and five times stronger, and the way the hair-thin threads are woven produces freeform, organic-looking architecture. Carbon fiber is already used to make all kinds of things, from fishing poles to the masts of sailboats, but robotic building techniques are bringing it to a whole new level. 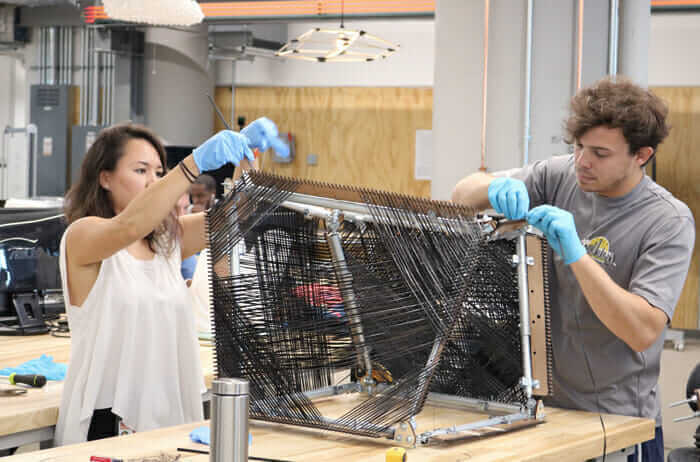 The University of Stuttgart and its graduates are among the innovators in this area, producing amazing woven pavilions each year to show off possibilities. What’s more is the fact that woven carbon fiber structures could easily be added to existing architecture made of more conventional materials in order to strengthen, update or otherwise modify it, saving hundreds of years of existing construction. We’ve literally covered our entire planet in non-biodegradable plastic trash, a monumental foible for a species that’s supposed to be so smart. What can we do with it all? One idea is gathering it up and transforming it into building blocks. 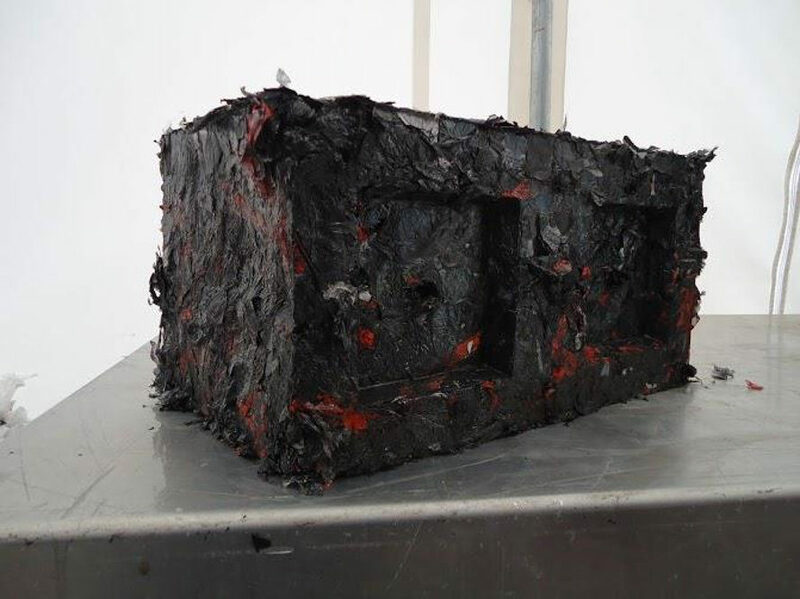 Various companies and research facilities are already making it happen, like startup ByFusion in the United States, which has a patented process to compact the plastic into construction-quality bricks. The best part is the fact that all the equipment to do so fits inside a shipping container and can be operated in all sorts of locations with no emissions. The plastic doesn’t even have to be sorted or washed first. Graphene is a ‘wonder material’ known for its impressive strength and light weight. This semi-metal consists of a single layer of carbon atoms arranged in a hexagonal lattice, making almost all of its strength two-dimensional, so it’s been tough translating it to three-dimensional applications. 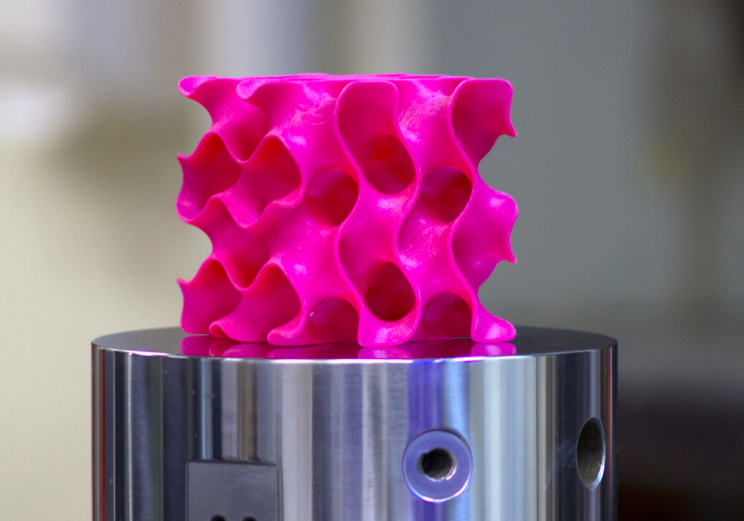 But researchers at the Massachusetts Institute of Technology discovered that when the material is shaped into a sponge-like form, it resists forces 10 times greater than steel. They compressed small flakes of graphene into magenta colored polymer in a shape resembling corals and diatoms and found that its thin walls allowed it to deform incrementally, helping it withstand pressure. The model represents new ways of thinking about graphene, which could lead to breakthroughs in the immediate future. MIT believes graphene could someday be used to build things like long-span bridges. To gain a better understanding of graphene, check out an infographic at Futurism. 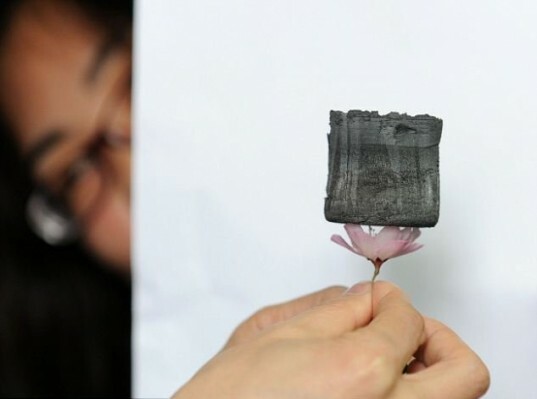 The world’s lightest material is a porous carbon material known as aerographite, developed by scientists at Kiel University and Hamburg University of Technology. As seen in this photograph, it’s so light, it can balance on a drop of water. 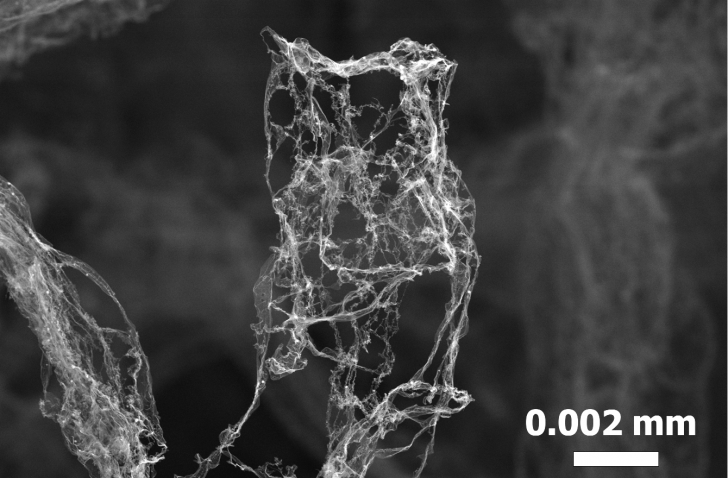 Created by a network of carbon tubes three-dimensional interwoven at nano level, the material is 75 times lighter than styrofoam, electrically conductive and non-transparent. Those scientists say the aerographite material they developed is four times lighter than aerogel, but it didn’t take long before their work was eclipsed by a team from China’s Zhejiang University in the form of ‘graphene aerogel.’ Made of freeze-dried carbon and graphene oxide, it weighs a mere .16 milligrams per cubic centimeter and has a density lower than helium. They made it into a sponge-like form and balanced it on delicate objects to show just how light it really is. It’s also highly absorbent and elastic. It was deemed the world’s “least dense” material by the Guinness Book of World Records in 2016. The researchers are still determining the material’s real-world applications. 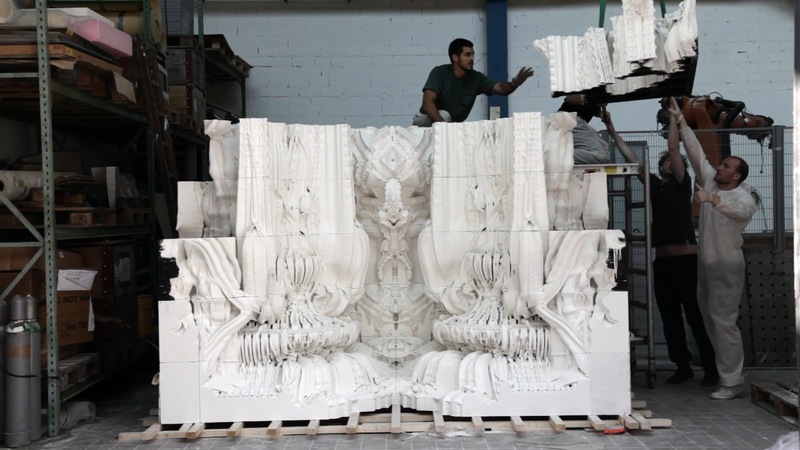 Ornamentation of the sort we’ve never seen in architecture could be realized with 3D printing, and liquified sandstone may be one of the materials used to create structures of H.R. Giger levels of intricacy, as demonstrated here by designers Michael Hansmeyer and Benjamin Dillenburger. 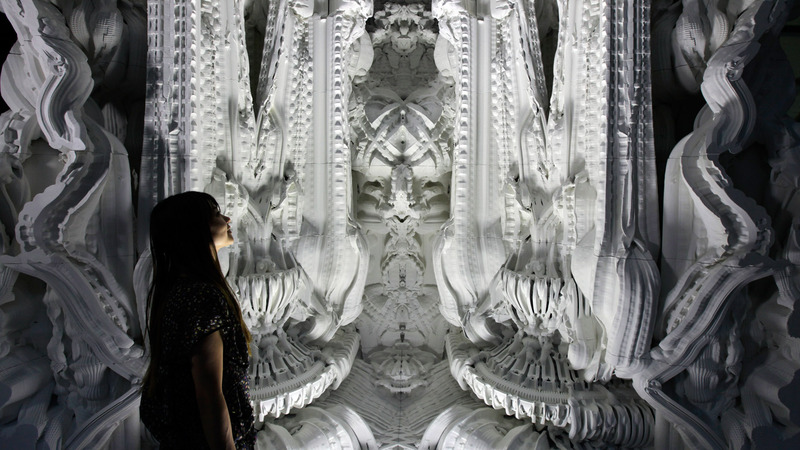 Their ‘Digital Grotesque’ large-scale sculptures show off complex, interwoven and sometimes fractal details that couldn’t be achieved by hand, with the architectural scale reduced from bricks to grains of sand. Smaller 3D-printed modules are assembled into a whole. Imagine the potential this kind of technology holds for building facades in a hypothetical future in which we’ve moved past minimalism into a new baroque era in which we don’t mind all those tiny crevices getting grimy.